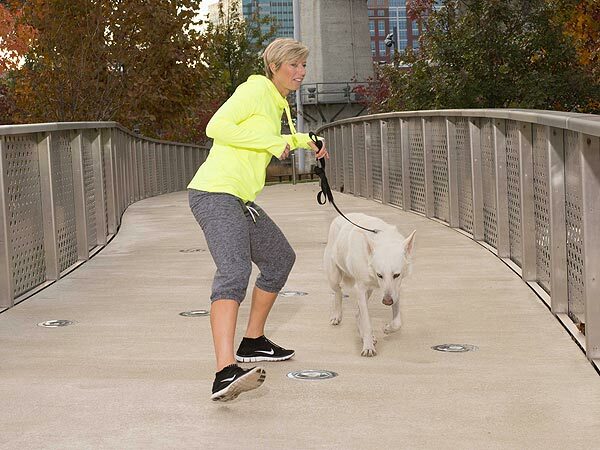 The next time you head out for a stroll with your dog, try throwing this exercise move from celebrity trainer Erin Oprea into the mix. Here's how to do Sumo Squat Side Hops. With the Thanksgiving feast now behind you, it’s time to think about your health and the health of your loved ones. Were you paying close enough attention to your dog during dinner? He may very well have snagged his fair share of turkey! Grab a warm jacket and let’s take your dog out for a walk so that you both stay in shape. This time, however, go beyond the basic walk around the block with these Sumo Squat Side Hops. My baby, Ghost, has got this move down pat. Follow these steps and you’ll have it too, in no time at all! 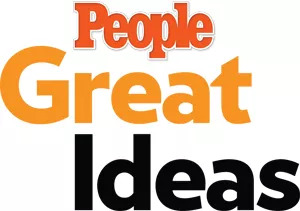 1) Place your feet out wide with toes pointing out and your dog in front of you. Rotate your hips back and drop into the sumo squat. 2) Jump up from the squat so that your feet come together in the air moving you to your right. 3) Land in sumo squat form dropping your bottom every time and making sure your dog does not trip you. 4) Do 15 squats in this direction and then switch sides with your dog to do 15 more in the opposite direction. As a former U.S. Marine, Erin Oprea is dedicated to fitness. Now a Nashville-based personal trainer with clients like Carrie Underwood, she uses her expertise to help those with busy lives stay fit. Visit her site or follow her on Twitter @erinoprea. Then come back to PEOPLE.com every Monday to master a new workout move.